Follow these simple steps to adopt a proven nutrition strategy and begin to reap its heart-healthy benefits. 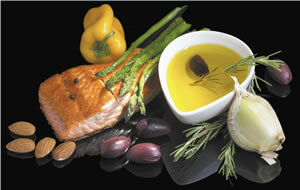 The traditional Mediterranean "diet" is not a specific meal plan or a method for losing weight. It is a health-promoting dietary pattern that emphasizes extra-virgin olive oil, whole grains, fruits, nuts, vegetables, and fish. If you are not eating Mediterranean now, how do you get started and reap its benefits?